The rumors about free dining from Disney have been swirling for quite some time, so I thought I would take a little bit of a humorous take on the potential discount promotion. So, I ask you the question: Did Nostradamus predict free dining? Well, while there are rumors all over the tabloids talking about some of the things that Nostradamus has predicted, I have yet to see an actual prediction of his that pertains to Disney’s free dining promotion. As always, if you see something different, please share it with us on our Facebook page. However, beyond that, there are some things that make this a little interesting. First up, here are some pictures of some of the restaurants you can enjoy on the Disney Dining Plan. 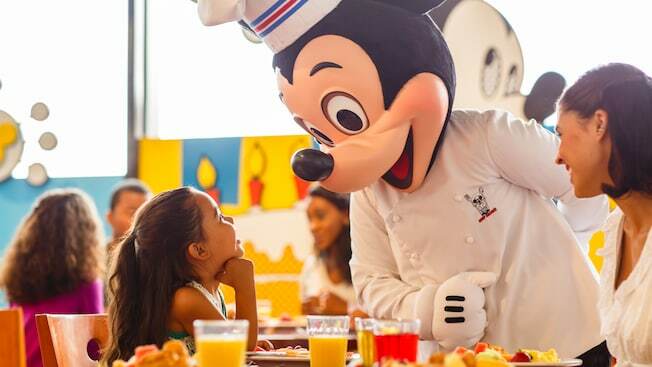 1 Table Service credit per person, per night of their stay at an on-site Walt Disney World resort hotel. 1 Counter Service credit per person, per night of their stay. 2 Snack credits per person, per night of their stay. In addition, each person will receive a resort refillable mug that they can keep as a souvenir after they leave for home. There are other plans for quick service and deluxe dining, but the one listed above is the most common. If Disney free dining is released, one thing to keep in mind is that there will be limitations. Certain resorts in the past have been excluded from the promotion, and the promotion is for certain time periods, among other constraints. I’ll not go into the details of the rumors, chances are the rumors are not entirely correct. However, if you are already booked through me for a vacation package at Walt Disney World, and a promotion is released, I will work on your reservations first. So, if you are not one of my clients, start the process of becoming one of my clients by submitting a quote request today! Finally, if you would like to discuss a Walt Disney World vacation for you and your family, please reach out to me! I am a travel agent specializing in Disney destinations with Pixie Vacations, and I would love to help you plan your trip or get you some pricing information. My services are completely free for you, so why not see all that I can help you with your Disney planning? So, while the chances are high that Nostradamus did not predict free dining, I predict that if you become a client of mine, you will get top notch service from me! You can count on that!